It’s our Riven Laths I’m all in a lather about. I need to know more about their use. I need to know how a lime plasterer works. I want to understand more about their fitting and fixing. About the why’s and wherefores of this length spec thing. 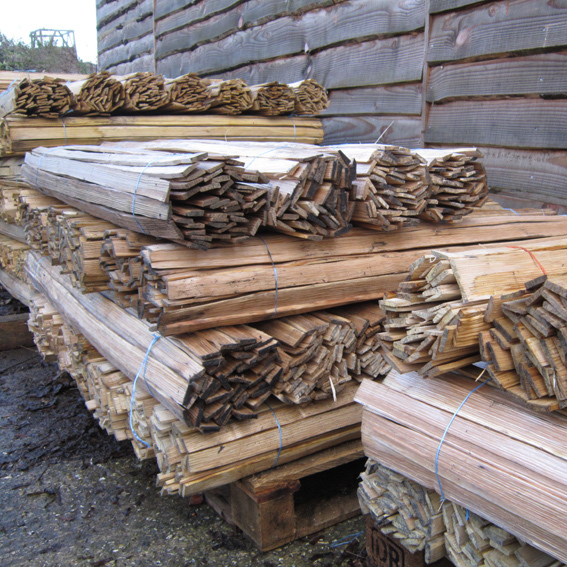 Our laths are Sweet Chestnut. Really really really sweet Chestnut. I mean, look at them.. don’t they look sweet? 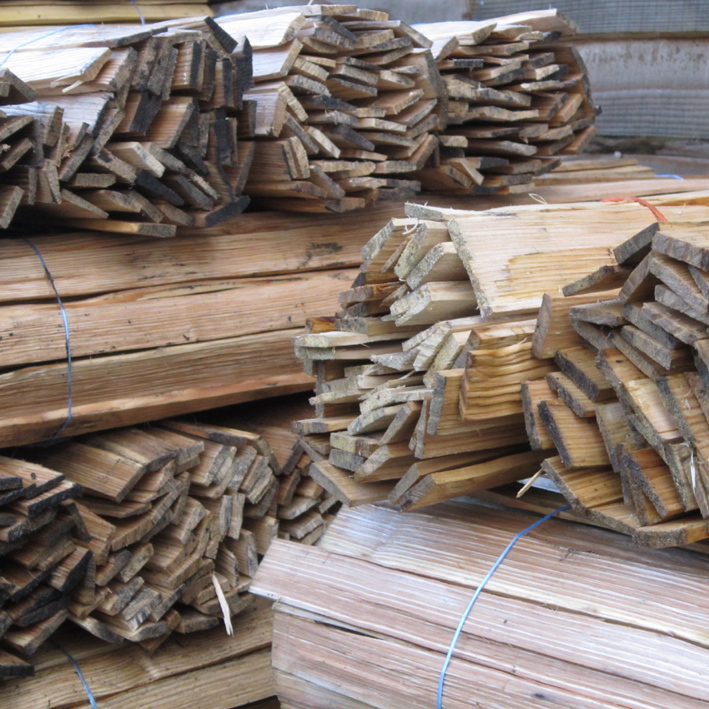 They’re sweet because this traditional little building material has such a fabulous story. Wanna hear/read it? Sitting comfortably? Once upon a time, deep in the forests and woodlands of ancient Sussex (& Surrey, Kent & Hampshire) there existed rare individuals, men, and undoubtedly women (we’ll call them workers-of-woodland for now) – who understood, believed wholeheartedly in and lived and breathed the art of coppicing*. The more they coppiced, the more the Chestnut coppice rewarded them (the men and the women) with fresh growth to cut until, one day, they found that where they might have been tempted to just make a whole load of split rail fencing or palings or chuck it all into chunks to make amazing charcoal with everything they cut, they decided that perhaps it would be worth their while to talk to the local Plastering Fairy and ask him if the Chestnut strips that split like nobody’s business and had excellent grab on the surface (because of the intact but irregular grain) might be of some use to him and his Lime Plaster Sorcery. “I have. 42” said the P.F. 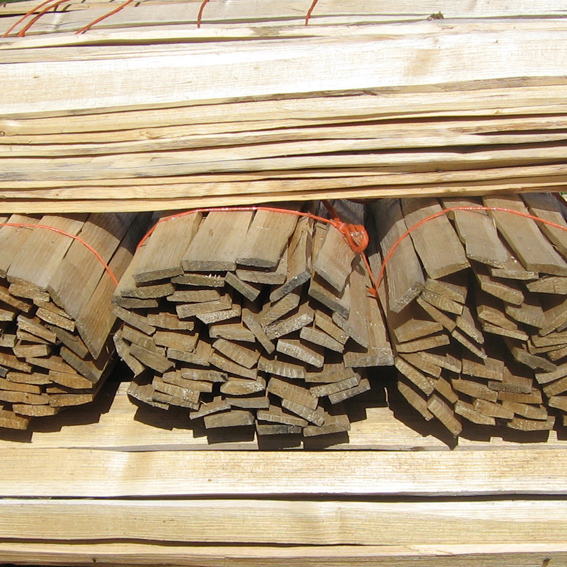 And so she delivered a pallet of laths, just like these ones, and the P.F. was happy with lengths as they came… he didn’t need fixed long lengths because every wall he plastered was different… mixed lengths meant he could waste less because he wasn’t always cutting little bits off the ends when he got to a stud or a joist… so he managed to conserve his pennies (not metric pennies though, mind you) as well as his laths. 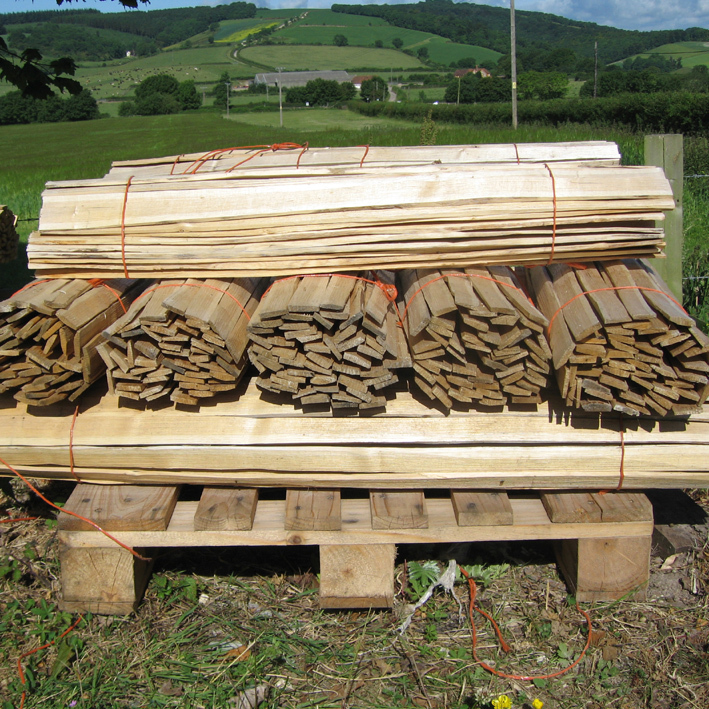 And so you see… that is the story (or a story) of the amazing and versatile and durable and about as sustainable and green and ecologically sound a product as there could ever be… Hand Riven Sweet Chestnut Laths. In 3ft, 3ft6 in or 4ft lengths… mixed. I think I would have liked the P.F. NB.I. If the Plastering Fairy had asked for fixed long lengths though, the workers-of-woodland would have had to throw away at least a third of laths they produced or just stop making them altogether and make something else because it might not have been financially viable anymore… and then if the P.F. were adamant he needed the fixed long lengths the workers-of-woodland would have had to offer Oak and that isn’t coppiced, doesn’t naturally grow in these lengths but grows for tens and hundreds of years into big logs that would need be cut down into fixed length chunks to split lath from… !!! When you think coppice.. this is what you really want to see.. http://www.hampshirecoppice.org.uk/assets/Teller%20pdf/TellerApr07Draft02.pdf groups and communities making it work.. even if this pdf is a bit out of date..
All joking aside, if you feel that the life of a coppicer might be for you and you can’t imagine anything better for your future than your days out in the woods producing Chestnuts products for sale and maintaining the land you work on for the generations to come maybe you should look into it? It’s a slow old business, the growing and harvesting of woodland products but opportunites do arise, and can be fruitful for those that are dedicated, determined and patient! The least we can do is put you in touch with someone you can talk to for advice… email me sarah@englishwoodlandstimber.co.uk and I’ll do what I can to help. Posted on May 10th 2012 under english hardwoods, fresh sawn timber, round timber, woodland management, woodland products. You can follow any responses to this entry through the RSS 2.0 feed. You can leave a response, or trackback from your own site.